South Florida’s famous local sandwich shop, Laspadas Original Hoagies, has partnered with a top tour operator, Segway Fort Lauderdale, to offer a free 8 inch hoagie with the purchase of a one or two hour Segway adventure. 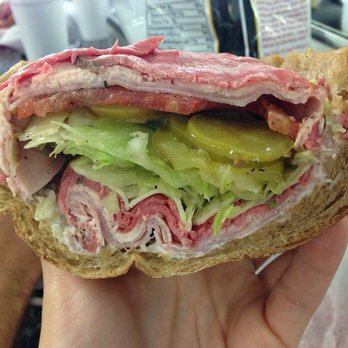 Courtesy of Laspadas Original Hoagies, you can choose from any of their 8 inch hoagies. The restaurant offers a variety of 8 inch Laspadas hoagies, such as the Italian Special complete with ham, genoa salami, the Italian Cappicola and the Mama Laspada filled with turkey and genoa salami. The restaurant also offers the Monster with your choice of meat. You can even opt for the Veggie Monster. Check out the Laspadas menu on their website at http://www.laspadashoagies.com. Since the restaurant first opened in 1974, Laspadas Original Hoagies has since been a staple of South Florida cuisine. But the original Hoagie was first created in Chester, Pennsylvania. There are currently six Laspadas Original Hoagies locations in South Florida. Laspadas Original Hoagies are located in Coral Springs, Davie, Lauderdale-By-The-Sea, Boca Raton, 17th Street Causeway, and Pembroke Pines. You can choose any of these locations when claiming your free world famous Laspadas 8 inch Hoagie. Segway Fort lauderdale is ready to show you the time of your life! First, you learn how to ride a Segway from an expert guide which will take only minutes. Then you will be taken on a 5 or 10 mile route along the mega yachts and multi-million dollar mansions in the beautiful and scenic areas of Fort Lauderdale. You will pass by celebrity mansions and will learn a thing or two about our city. Expect to laugh, have fun, take pics, and make new friends with others from all over the world. Segway Fort Lauderdale is one of the highest rated activities in Fort Lauderdale on the leading travelers website tripadvisor.com and was previously aired on Channel 7 News, and published in the Sun Sentinel & Miami Herald. Available by reservations only, everyday from 8 a.m. – 10 p.m. Call for a free lesson to boost your confidence before reserving or visit segwayfortlauderdale.com for more info! You will get a free world famous Laspadas 8 inch Hoagie when you purchase a one or two hour Segway tour. Segway tours allow you to experience all that Fort Lauderdale has to offer. Instead of walking, you can conveniently ride around downtown Fort Lauderdale and check out all of the major attractions. It is undoubtedly one of the best ways to get around Fort Lauderdale. While on a Segway tour, you can stop in at a Laspadas Original Hoagies at the Laspadas in Fort Lauderdale. At the Laspadas in Fort Lauderdale, you get three wonderful guarantees. The Laspadas Original Hoagies offers fresh baked bread, top quality meats, and fresh vegetables on all of their subs. Check out the Laspadas menu for a full selection of all of the Laspadas subs. You will experience some of the finest subs in the south Florida region when you come to Laspadas Original Hoagies.